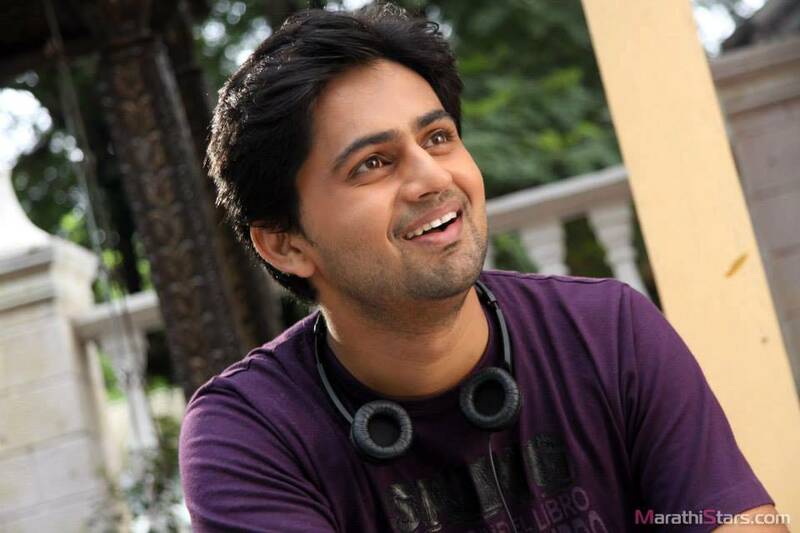 Bhushan Pradhan is one of the most loved faces of Marathi entertainment industry. 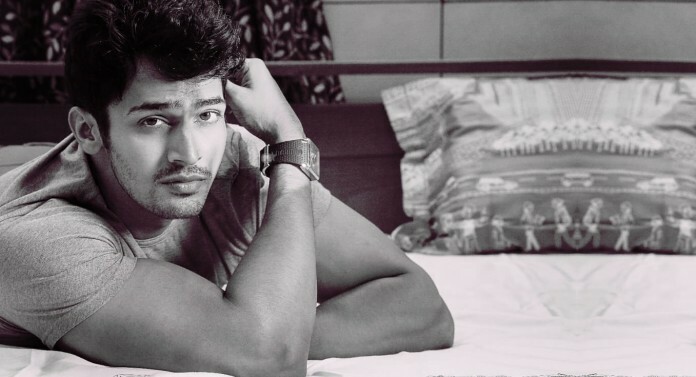 His role as “Veer” in TV serial Pinjara and Anish in the the film Coffee aani barach kahi has made him a popular name. 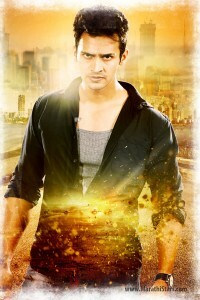 Recently Bhushan did a thriller Time Bara Vait which was loved by the audience and critics praised his work. 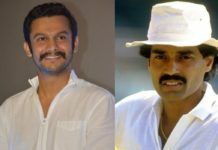 Bhushan is ready with his next release “Dhinchak Enterprise” The film is directed by Nishant Sapkale and has already created lots of anticipation. 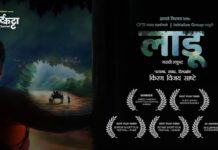 Marathistars.com spoke with Bhushan about this film and his journey as an actor. Tell us about the film Dhinchak Enterprise. How was the experience? Ans: From the day one when the script came to me what I liked about was the professionalism of this team. Director Nishanta and producer Charmi, both were clear about what they are going to do. After listening to the title of the film I was curious what this film all about is. Earlier I thought this is a comedy film, so I was a bit skeptical even before reading the script. After reading the script I just loved the concept. We had lively discussion on the script level. They also took our suggestions into consideration and some were implemented, as an actor this gives you a boost to your performance. My role in Dhinchyak is something which I have never done before. This is a journey of a boy from his college days to his working experience as a salesman and how he becomes an entrepreneur. How he changes throughout this journey. He is a very hardworking at the same time he is smart working. What happens next, how he changes during this journey is all Dhinchyak is all about. My character has many shades, as I play urban Marathi youth from his college days to a successful businessman. I have portrayed these years through my looks, body language. You himself have completed your MBA in advertising and marketing. Did it help you while doing this character? Ans: Yes, definitely! I could relate to this character. I started working very early age. I have worked as a door-to-door salesman. So, I have experienced people slamming door to my face. All such experiences made me portray this character. Even, when the charecer completes his education and starts working, I can use that post MBA attitude. I all those exp helped me. Post MBA attitude, when my character turns a businessman phase, I could strongly relate to it. You and Manva have been paired together for the first time. How was the experience? Ans: I knew Manva. Though we never worked together, we did some acting workshops together. We were acquaintances, but not very good friends. But once I get to know that Manva has been cast for this role, I felt better. During this shoot, I got to know her so much, we became good friends. We discussed about many things while shooting. This ease shows on the screen, the friendship off screen converts in chemistry on screen especially during intense scenes. I was a bit doubtful whether people will accept us as a romantic couple. However, now the trailer is out and everybody is telling us that our pair looks good on screen. That really feels good. Manva is also a director..
Ans: Definitely this was an added advantage. Though she has directed a movie, she never interfered in other departments while working as an actress. Yes, the team discussed with her and she gave her inputs. Also, she was ready to listen to suggestions given to her; She never threw that attitude of “I am the director, I know better than you”. That was such a relief. 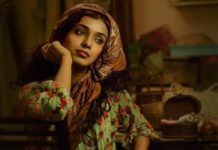 Interestingly, Meena Naik, real life mother of Manva is playing your mother in this film. Ans: Oh yes, it was interesting that she is Manva’s mother in real life, but on screen she has played my mother. I had earlier worked with Meenatai in my TV serial Char Chaughi, so I was more comfortable with her. It was a superb experience for me to work with this mother and daughter though Manva has very few scenes with Meenatai. Q: Time Bara Vait,. Coffee aani barach kaahi you seem to be exploring various genres as an actor. Ans: Honestly, that’s what I am aiming for. There are always misconceptions about good looking hero should only do romantic films. I prefer playing diverse characters. Time bara wait was a challenging role for me with action sequences. The film was a thriller suspense, audience has never seen me in such avatar. Similarly coffee aani barch kahi it was such an amazing and lovely character. He was so simple witty yet completely in control of himself. Dhinbchyak is again something different It is an executive corporate-savvy and ambitious character. I am truly glad that I am getting such different roles. Hope this continues. Q: Your image in TV has been a simple sweet boy next door, films are changing this image. How is this journey coming up? Ans: It has been fantastic. I have done five TV shows. I received an overwhelming response. My Aryan character in Kunku had negative shades, and people actually started disliking me. Then I did Veer in Pinjra, so people accepting me from a negative role to positive is a challenge for me. I could relate to the character of Veer. So it was very easy to portray these characters. However, I am an actor and I want to challenge myself. I cannot choose a comfort zone and keep doing same thing. Audience will get bored after some time if I keep doing same roles. What is your current focus: TV or films? Ans: While working on Pinjara, I started doing films, so I realized that it becomes very difficult to manage the work between these two mediums, especially when you are a lead actor. As no matter how carefully you have planned the schedules, there are always some uncontrollable situations making everything unorganized. The kind of growth films are providing me is enormous so I am focused on films. But then, I am always ready to do something special in TV as long as it is time bound. Whatever recognition I have got is through TV first. I learned the technique of acting in front of camera in small screen. Q: Trend in Marathi serials they keep on dragging for many years. Concept of seasons should be introduced. Slowly and steadily it will be acceptable by people, it won’t happen overnight. At the same time we take audience for too much granted that they won’t like this. For example, Zindagi channel showed Pakistani serials, and they were liked immensely by our audience. We loved the simplicity and honesty in those programs. Some channels have started this trend slowly. They have started realizing that people can like this and accept this. We often say that our show has wonderful storyline and it won’t be dragged unnecessarily for the sake for TRPs. or it will finish at a certain point. However, as actors we do not have control over the creative team. However we can’t quit shows so easily, I think it is our duty the serial which has given us immense popularity remain faithful to it. I know I am not liking this but I can’t leave my job and decide to take this fame with me. I have to do it conviction. Marathi TV industry was always ahead of its time. We have given such creatively brilliant and path-breaking shows few years back, and will continue to do so. Nowadays we are borrowing from Hindi serials so rater than that we need better shows with good concepts. Q: Marathi movies are changing. We are slowly marketing our movies very aggressively. Ans: It definitely feels great. I have seen this growth and been a part of it. I have been in this industry for 6-7 years. My first film Parambi to Dhinchyak I have seen this vast and good difference. Better movies are being made and then responsibility of audience is increasing. We don’t get screens easily. Every week minimum three films are releasing in Marathi. So reaching competition is so tough, plus we have a direct challenge with Hindi movies. No other regional film industry has this problem. But slowly we are realizing our audience. Now Hindi producers are interested I making Marathi films. This is the right time to be a part of this industry. Success of our audience lies in the fact they always accept films with strong content. Films like Killaa , Court are open to have good entertainment and also rich with thoughtful content. This is the superpower of Marathi films. Ans: I like to travel; unfortunately nowadays travelling has been turned into promotional tours and shoots. I am a work-out freak. Even if I would not have been an actor, I would still be taking care of my body in such way.. I have been working out for almost 13 years though it was not very serious. last few years I have become very regular about it. Even on shoot, I see to it that I get at least an hour to work out. I do not follow any special diet. I do have very good metabolism so I don’t have to follow a very strict diet. I eat healthy I eat at time, right proportions. What will be your future projects? Ans: My next film One Two Three Four will be releasing very soon. It is a very interesting film. Also, I am doing a film with Trishala Shah called Jeet. Another two are in the floors, one is with Prarthana Behere, and second is with Sanskruti Balgude. Bhushan, thanks a lot for speaking with us. We wish best luck to you and your team for Dhinchyak Enterprises.